A healthy, homemade, protein-packed snack. Crunchy, smokey, savory, these roasted smoked paprika cinnamon chickpeas will keep your hands away from the chips and into this gluten-free vegan snack! I’d like to take a moment of silence please, for two of the greatest spices in the world. 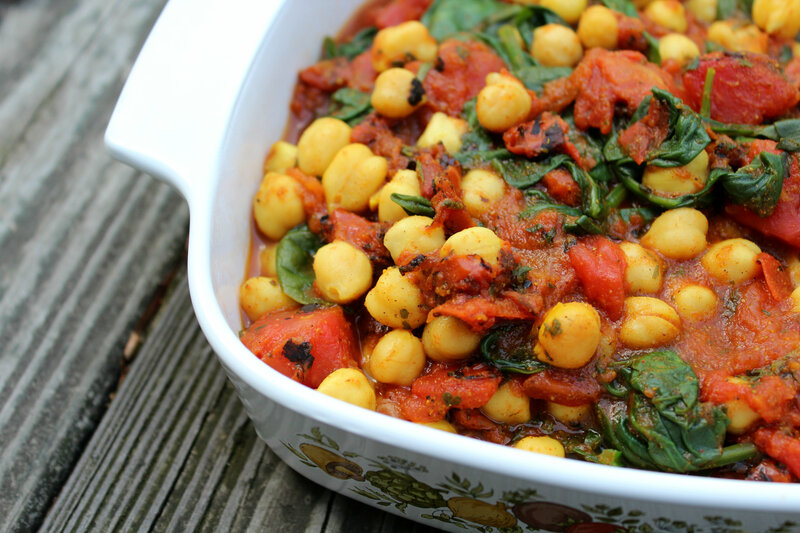 A hearty plant-based meal the whole family will love. 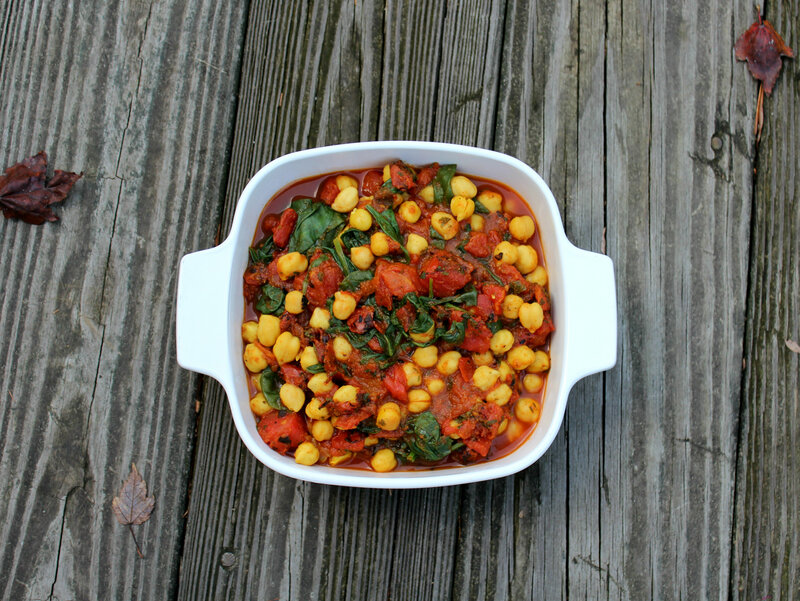 This gluten-free, grain-free, and vegan Italian Chickpea Casserole is the perfect weeknight meal to nourish the body with classic and comforting flavors. I’m never really sure what people use to define a casserole. I assume it just means it was baked in a casserole dish, could easily be freezed in bulk, and provides endless leftovers. When I think of casserole, images of the stereotypical housewife pop in my head. Hair up, apron on, oven mits covering the hands as she bends down to remove the “casserole” from the oven and present it to the family waiting ever so patiently at the table. What I also imagine is a heavy cheese and meat laden dish full of sadness. It may provide comfort to the family in that moment, but it will leave them dragging and sluggish for sure. We all want a comforting meal at the end of a long winters day, don’t get me wrong, but I think there are better options. 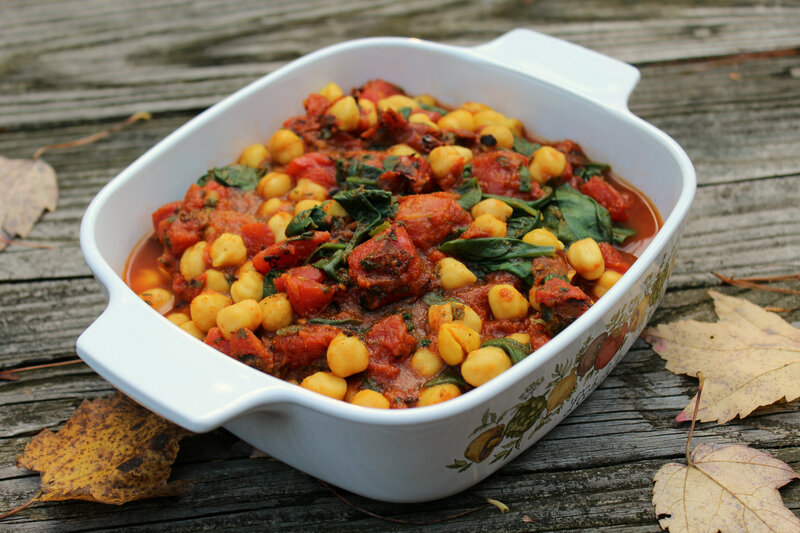 Which leads me to my version of a healthy plant-based and allergy-free casserole. Since Italian food just brings images of comfort to mind, I thought I’d roll with that flavor theme. Plus, Italian flavors like tomatoes ad basil and crowd pleasers all-around. From picky children to meat-loving husbands, everyone will love this! This dish makes about 4 servings, but it could easily be doubled or tripled with a larger casserole dish and more ingredients! + Microwave the spaghetti squash for 5 minutes or until you can easily cut it and fork out the strands. Prep the rest of your veggies and set everything aside. + In a bowl combine all the sauce ingredients and give everything a good stir. + In a 8×8 casserole dish, assemble the casserole as shown in the above graphic. 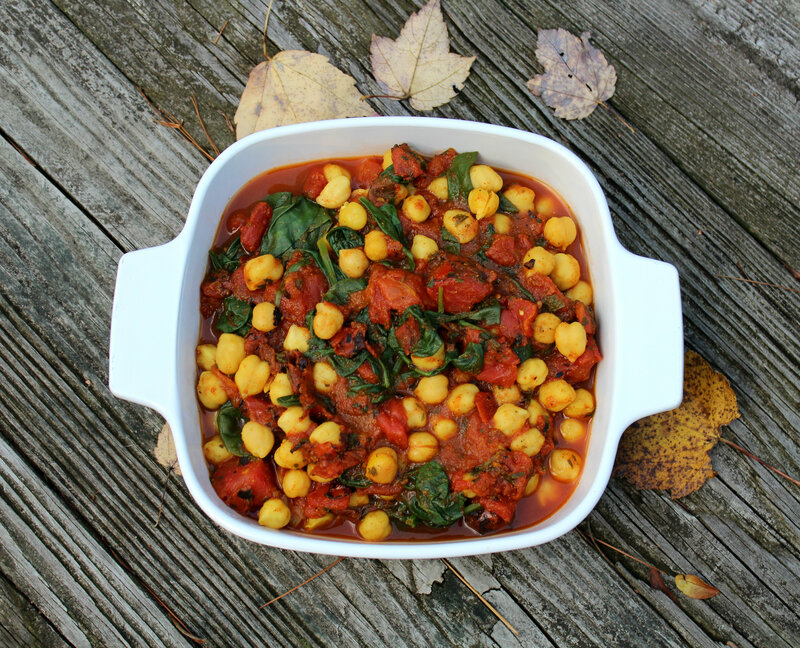 Start with the squash, chickpeas, zucchini, olives, mushrooms, and finally the sauce. Now top the casserole with nutritional yeast and an extra sprinkle of parsley. + Place the casserole in the oven and bake for 25-30 minutes. Healthy hearty goodness! Saucy, “cheesy”, and full of wonderful comforting flavor. Now that I’ve made my first “casserole”, I think I need to try my hand at some more. They are just too easy and the perfect all-in-one meal. Have I told you about my un-dieing love for nutritional yeast? I probably poured about 5 more gallons on this after I took the “pretty” pictures. I can’t get enough of that cheesy stuff! So what I mean to say is…the nutritional yeast is NOT optional here 😉 You MUST use it, haha! + What do you think of when you hear the word casserole? + What’s your favorite classic comfort food? No eggs in this breakfast scramble! A protein-packed Vegan Chickpea Scramble that’s soy-free, gluten-free, top 8 allergy-free, and grain-free. It’s a savory and sustaining breakfast recipe that will fuel your day right! Vegans can have their omelettes too! With chickpea flour and spiked with nutritional yeast, this omelette has just as much protein as the egg version! A vegan chickpea flour omelette, gluten-free and soy-free, is a breakfast recipe to fuel you all day long! Vegans can eat anything. Well, let me restate that. They can eat any “recipe” as long it doesn’t contain any animal products. But you know what else is true? Every recipe can be adapted with substitutions to fit any diet. I am a firm believer in that and have been, ever since going gluten-free. Just because a recipe calls for meat doesn’t mean you have to use it. Just swap it for beans, or if you can eat soy, maybe some tofu or tempeh. Just because an omelette is “traditionally” made with eggs, does not mean that a vegan can’t have an omelette. Omelette does not mean egglette. It means a hearty, satisfying, protein-packed breakfast. Am I right? So I am here to prove you all non-believers wrong. Vegans can have omelettes and they are better than any egg-omelette out there 😉 What to swap the eggs with? Tofu? No…#soyallergy. But, hey, how about chickpea flour! 8g of quality protein in a single serving. Plus, it will leave you fueled all morning long. I didn’t forget the “cheese” either. How about some Nooch! Nutritional yeast basically makes this omelette have the same nutritional stats and protein as an egg omelette. Worried about not getting your B-12? Well, the Nooch has you covered there! I say this omelette has an egg omelette beat, hands-done! The technicalities! Regardless, chickpea flour is winning with all its glory in this OMELETTE recipe! The “king bean” has done it again and produced one delicious savory breakfast to enjoy any day of the week! Any other veggies or filling you want! Optional Toppings: Salsa, Ketchup, Hot Sauce, Parsley, etc. In a small bowl, mix together all ingredients except the greens and optional veggies. Let stand for 5 minutes. Add more water if too thick. It should be pancake batter consistency (but not too runny). Meanwhile, heat a lightly oiled non-stick pan over medium heat. Once the pan is hot, pour the batter in the pan like you’re making a pancake. Cover the pan with a lid and cook on low heat for 3 minutes until the edges dry and bubbles form on the surface. Now add the greens and/or veggies to one half of the omelette and take a spatula to fold the omelette over in half and cook uncovered for 2 more minutes. Remove and transfer to a plate before topping with ketchup, salsa, hot sauce, etc.! If you didn’t notice, this is a recipe for ketchup topping glory! Now go whip up a vegan chickpea flour omelette and feed your body healthly, delicious, fuel! + Have you ever veganized a not so vegan-friendly recipe? In celebration of “successfully” completing last week, which included: tests, tests, exams, and culminated with the SAT, I decided to go all out on my stomach and make my most favorite dish of all time. I though it would be nice too for my GF Anniversary that was coming up and a nice addition to the tests I have been putting my stomach through. Even though this is my favorite dish, it is just so dangerous to eat with my stomach. Tomatoes, spices, and beans. But when in Rome India, just go for it. And having a dish like this once in awhile, especially since my stomach has seemed to have gotten stronger, was totally worth it. And finally, Indian food is the best celebration food in my opinion. The smells, colors, flavors…o everything about it; my favorite cuisine! + 1 Cup of Dried Chickpeas (soaked overnight and cooked, I put them through one cycle of my rice cooker with a bay leaf.) This makes about 2 1/2 heaping cups of cooked chickpeas. + Gather all you ingredients and put everything into a very large saute pan and stir. On the stove, heat the pan (covered) on high for 5 minutes, then reduce to a medium heat and cook for 20 to 25 minutes. + Taste and adjust seasoning to your preference, stir everything around and done! See I told you it was easy. + I served mine with a nice warmed brown rice tortilla, but some GF Naan or rice would be lovely as well! Favorite Indian dish? 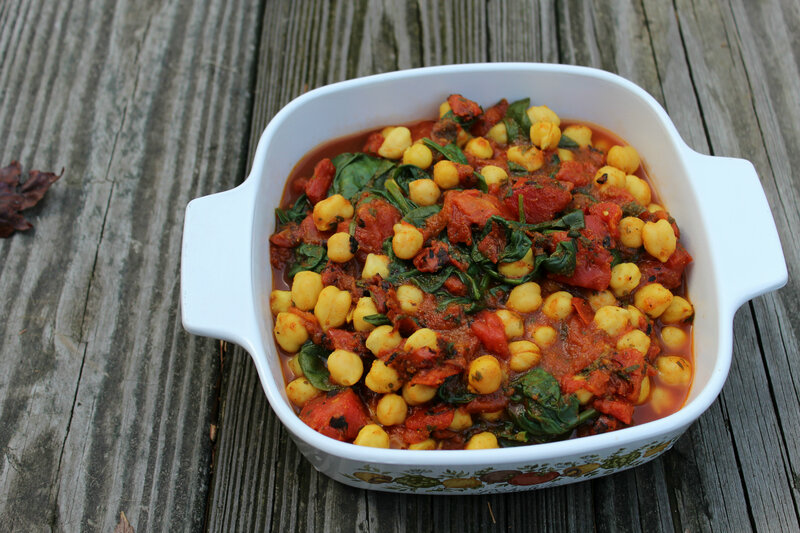 If its not Chana Masala, that’s okay. Pretty much all Indian food is awesome. Do you like to make your dishes super spicy or more on the mellow side? If you want this to be really spicy, feel free to add in some Cayenne! What is you go-to celebration meal?